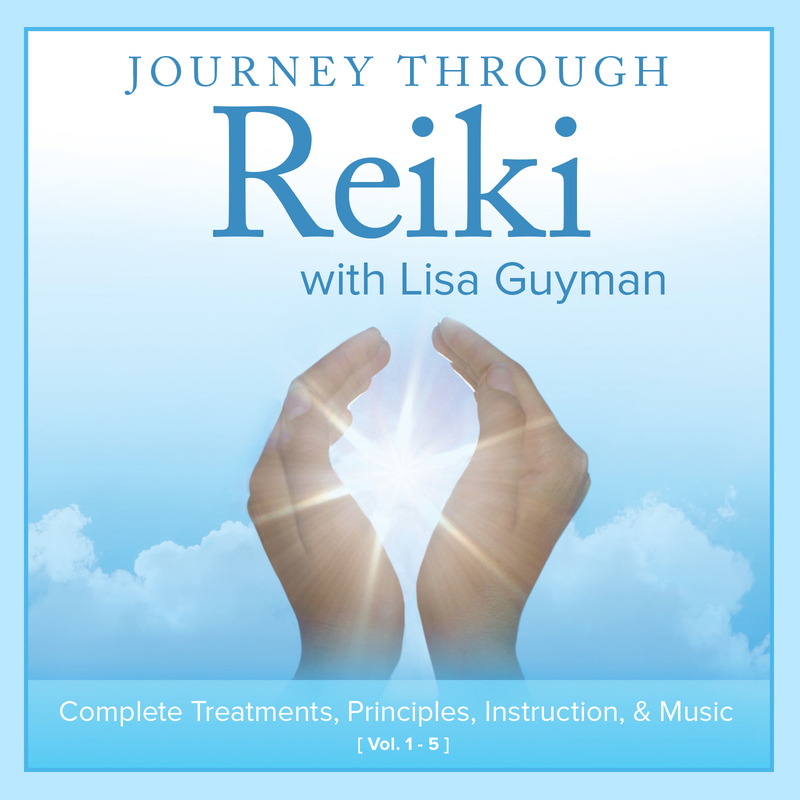 Complete Treatments, Principles, Instruction & Music-5 CD Reiki Training by Lisa Guyman. Experience the power of Reiki, with the ultimate at-home practice guide for giving Reiki Self Treatments and giving Reiki Treatments to others! Boost your confidence when giving Reiki to clients by following Lisa’s soothing voice with the backdrop of relaxing music as she guides you through entire treatments. This is an experiential audiobook and guide . . . that enhances the training you receive at a Reiki workshop. And is designed exclusively for students of Reiki! 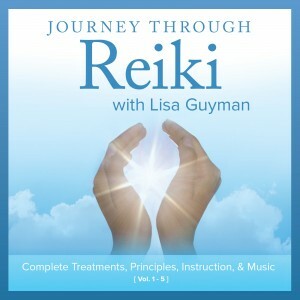 Journey Through Reiki: Complete Treatments, Principles, Instruction & Music-5 CD/Mp3 Reiki Training by Lisa Guyman. 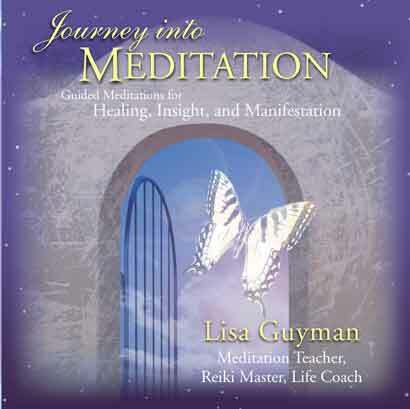 In this program, Lisa Guyman guides you through core concepts, practices and complete treatments (for self and others) in a thoughtful and meditative way. Her soothing voice merges with the ambient musical compositions of Rob Wallace providing an ideal environment for Reiki. Total running time: 5 hrs. 20 min. To preview multiple samples listen to a sample and then refresh your browser to load a different sample. 10 Ways to Increase Reiki Energy: In this educational audio learn core practices to build the focus and flow of energy including grounding, setting intentions, scanning, sweeping, working with symbols, letting go and more. Educational track. (16:32). The Ultimate Reiki Self-Treatment: This is a wonderful way to practice Reiki and utilize the power of thought and the power of affirmation at the same time. For each hand position a healing affirmation is given that you can choose to relax into, repeat, visualize or imagine as already being true. (24:01). Share the Gift of Reiki: Give a complete 60-minute Reiki treatment with this guided instructional audio. Soothing Music creates a relaxing atmosphere for the recipient of Reiki. (63:15). If you are interested in Mp3 Downloads only – visit CDBaby!